Classes start each Monday except complete beginner level and public holidays. 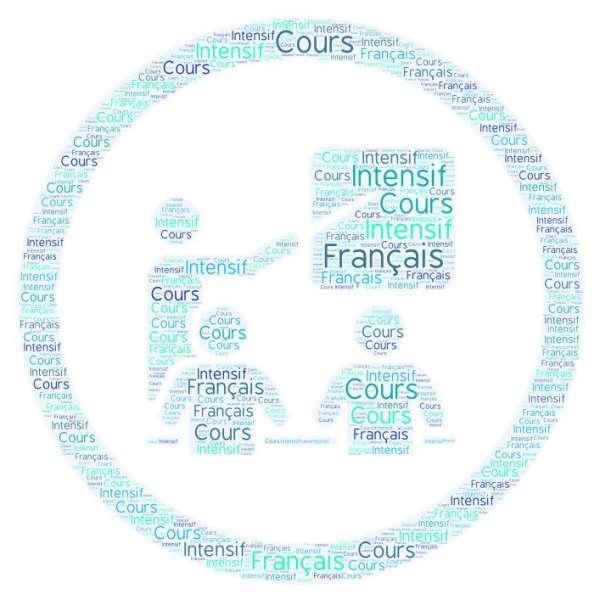 Our intensive French courses in international groups are open to people of 16 years old or over. Our intensive French courses are open all year except for 2 weeks during the Christmas holidays when the school is closed. Courses start every Monday except if you are a beginner (specific starting dates). Minimum course length : 1 week (no maximum). widen your knowledge of French life and culture. Depending on your progress, the duration presented here can be shortened or lengthened. enable you to benefit from a personalised accompaniment which takes into account your progress. Course certificate (given directly to you by your teacher on the last day of your course providing attendance has been regular). Transcript by simple request to the head of studies. (systematic for long term courses and grant holders).eport card by simple request to the head of studies. (systematic for long term courses and grant holders). When you sign up for a course at Ciel Bretagne, you will have to complete a placement test (step 4/5 if your register on the website) which will enable us to place you in an appropriate group on the first day of class. This test also test allows us to check that there will be a class corresponding to your level on the date you have chosen to start your course at the school. During the first morning in class your teacher will check your level of oral comprehension and expression. At the end of the first morning the head of studies will talk to your teacher and if you need to change groups it will be done the next day.